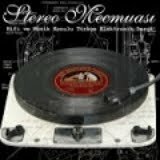 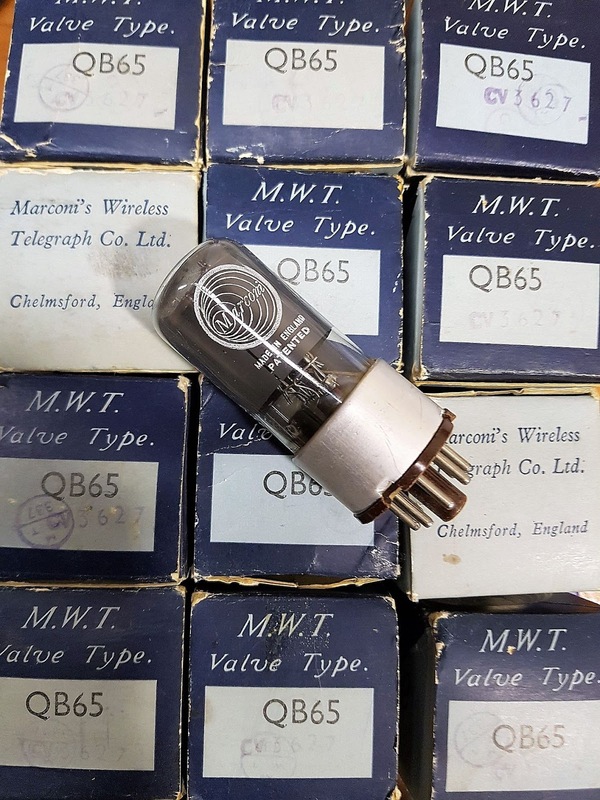 Mono plate triode, made by Telefunken-Germany in the 1930's. 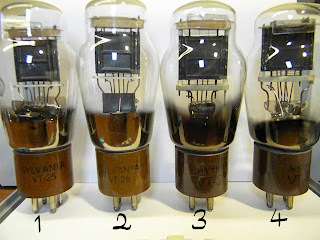 Called the "Queen of the European Triodes", the AD1 seems to be a sort of 4-volt version of the 2A3. 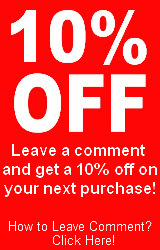 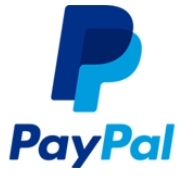 We have 1 piece only in NOS and pristine condition. 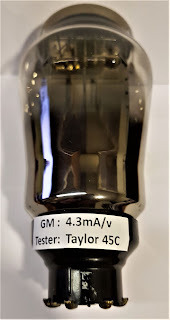 For such an archaic tube tested very strong on the tester Taylor 45C where the GM 5.00mA/v = 100%. 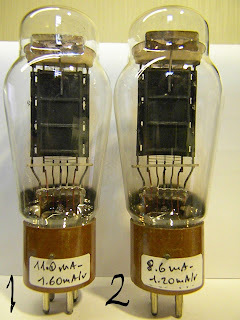 Mono plate triode, made by Tungsram-Hungary in the 1940's. 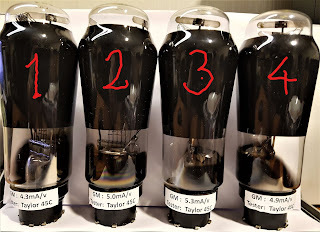 Called the "Queen of the European Triodes", the AD1 seems to be a sort of 4-volt version of the 2A3. We have 4 pcs in NOS and pristine condition with original boxes. 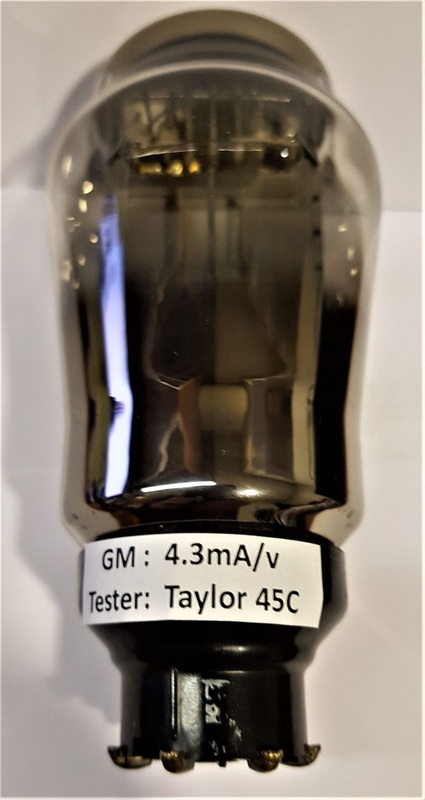 All tested excellent on the tester Taylor 45C where the GM 5.00mA/v = 100%. 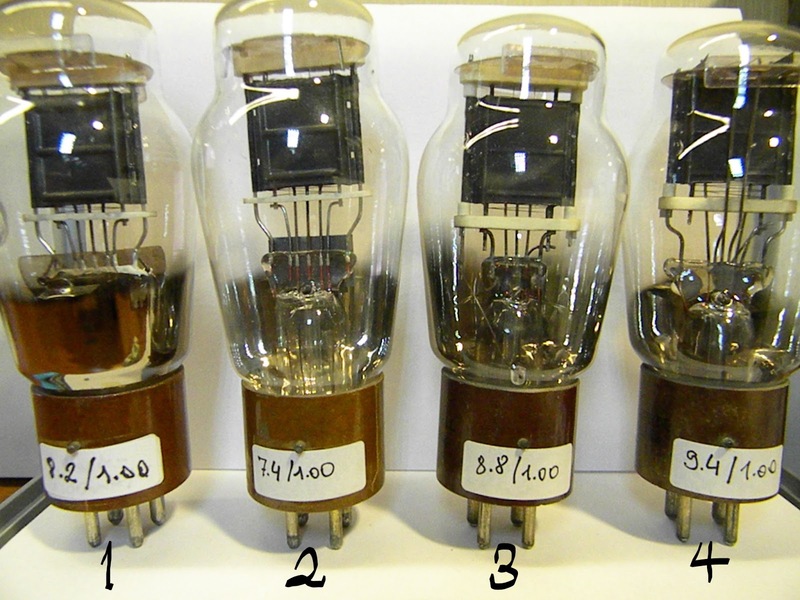 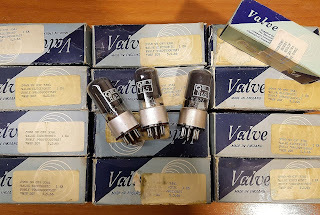 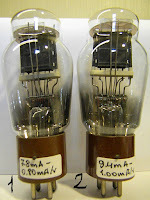 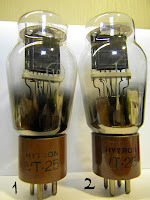 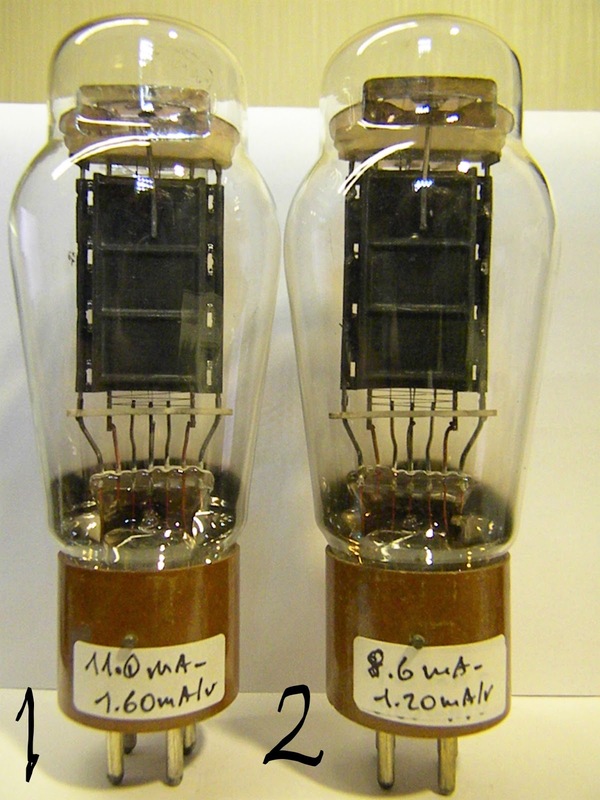 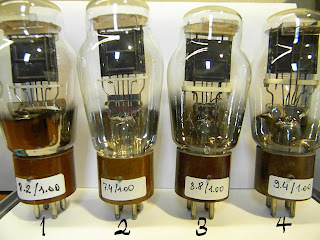 VT-25A/10Y is one of the early high vacuum triode tube suitable for use as an audio-frequency amplifier. 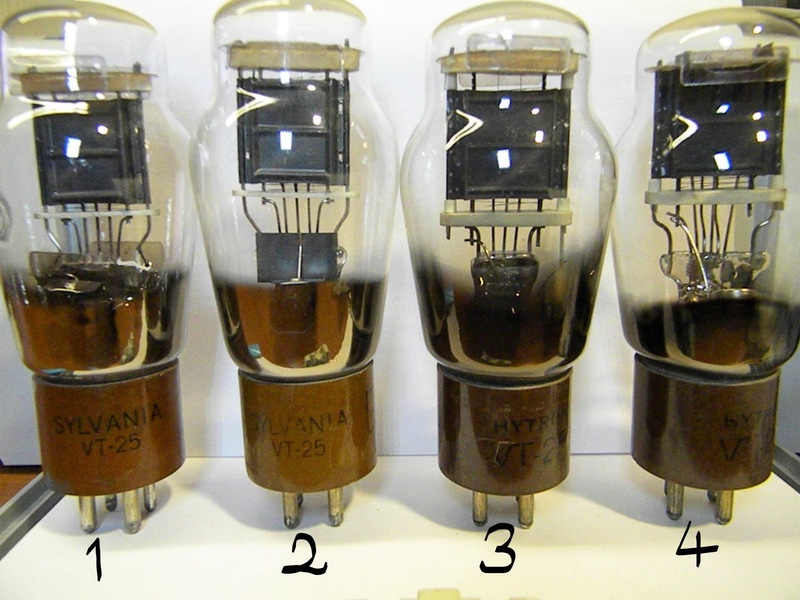 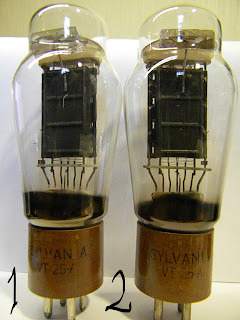 These Sylvania singles have identical internals with Long Anode Plate w/Oxide Coated Filament, single bottom getter. 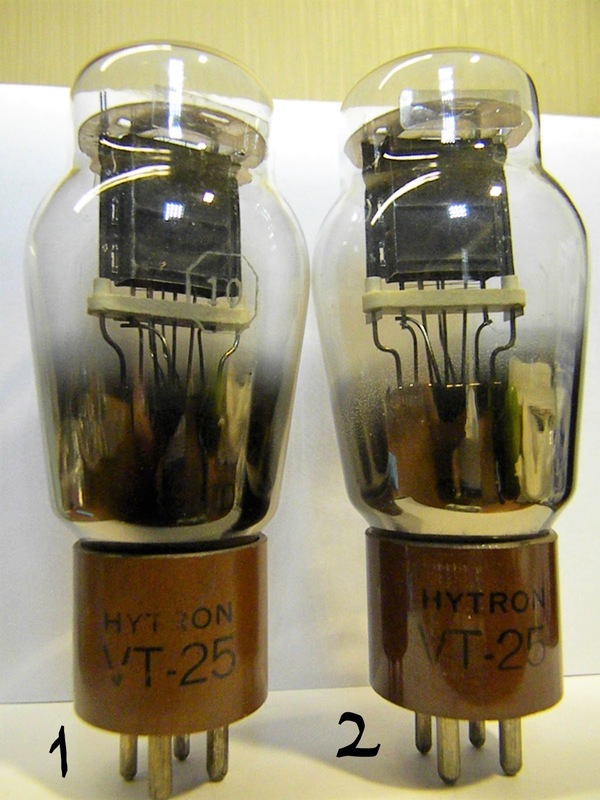 VT-25A/10Y is one of the early high vacuum triode tube suitable for use as an audio-frequency amplifier. 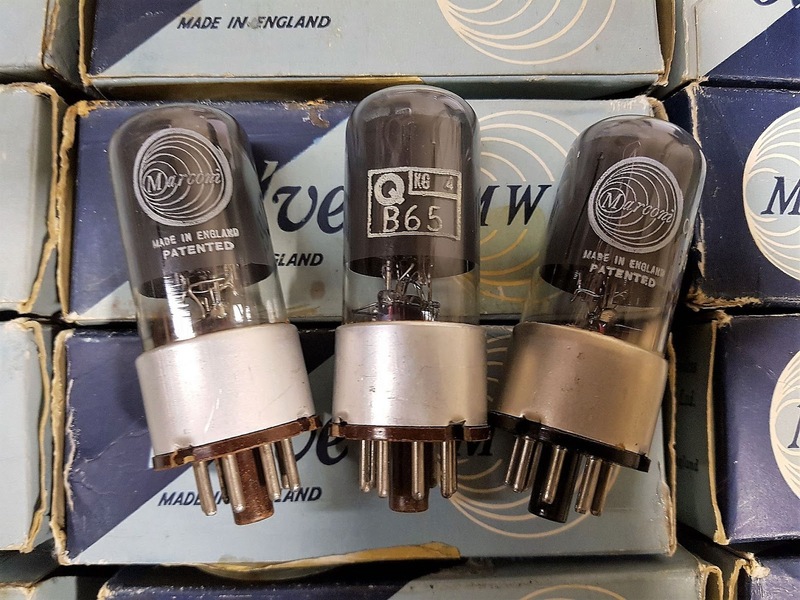 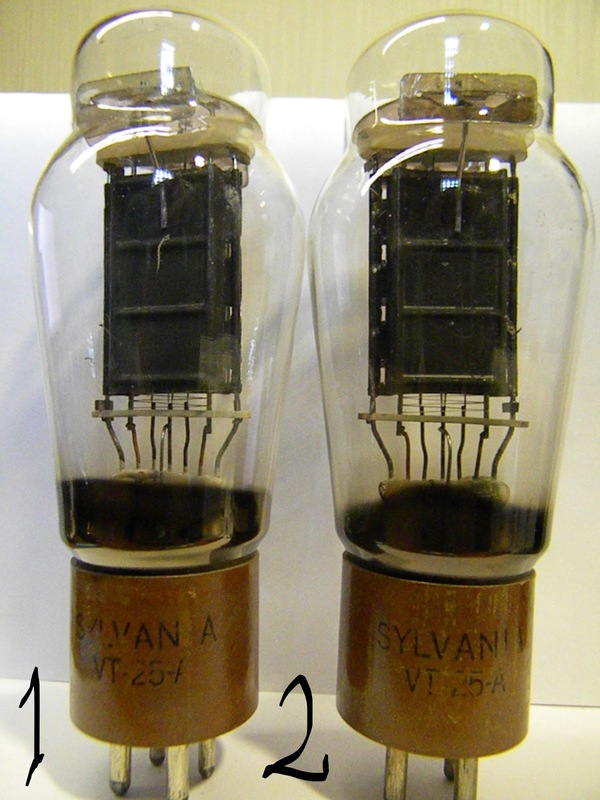 These Sylvania pairs have identical internals with Long Anode Plate w/Oxide Coated Filament, single bottom getter. 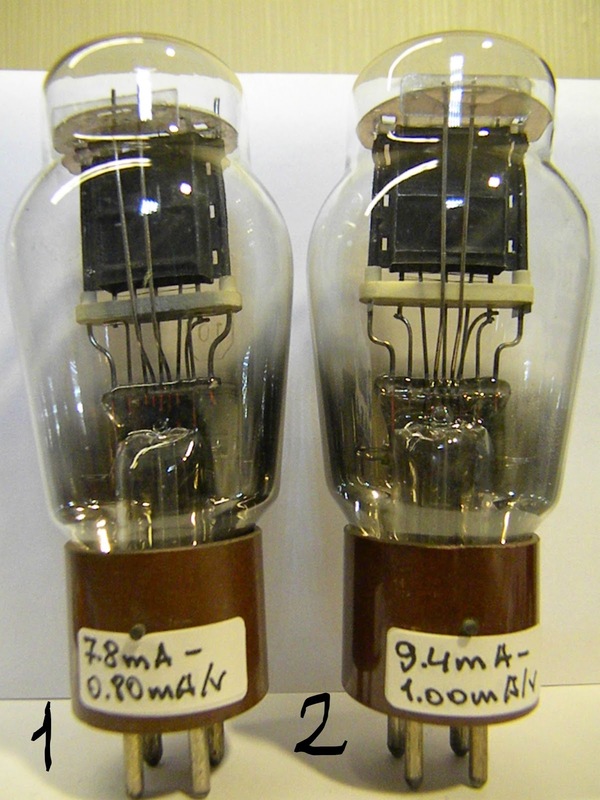 A miniature 7-pin sharp-cutoff pentode. 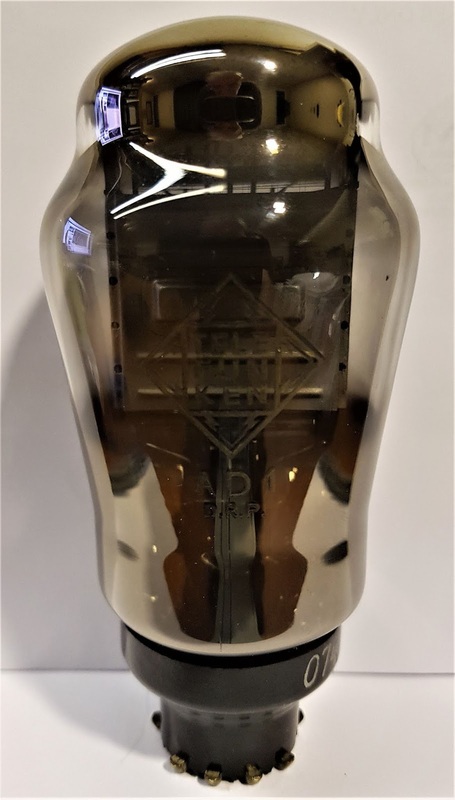 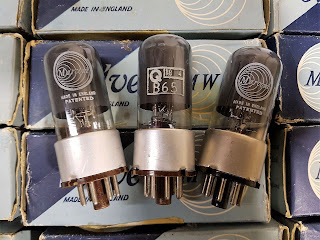 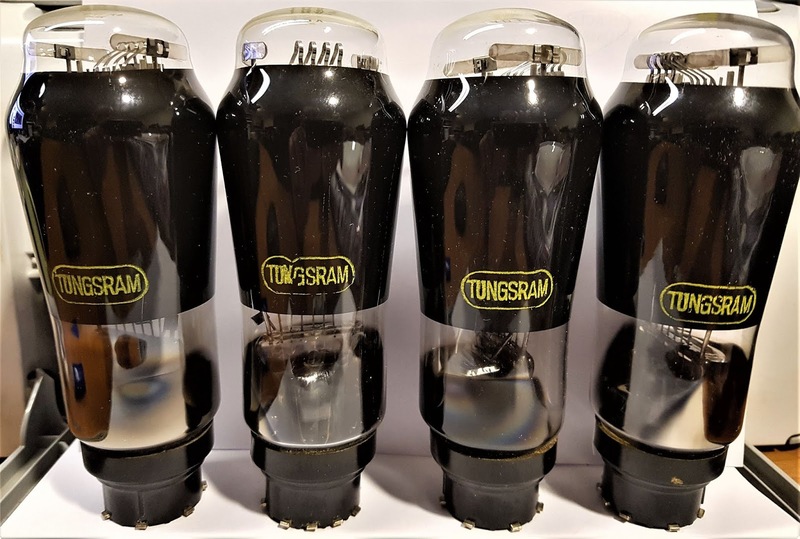 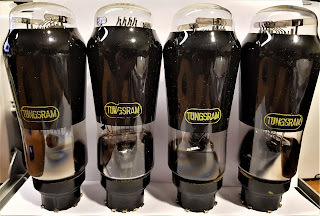 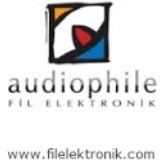 Very popular tube for head phone amplifiers and tube buffers such as Little Dot amps, Yaqin CDs, Grant Fidelity, Dark Voice, Maverick, Yamomoto and Telefunken CU-29 Copperhead Mic. 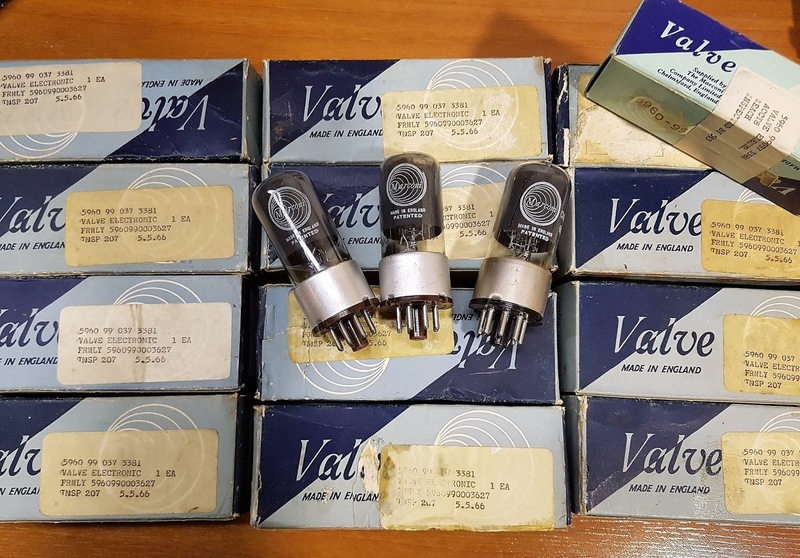 These tubes have diamond mark in the base and German Government Falcon logo.